If you are looking for job opportunities in Singapore, the following news might be a fortune. 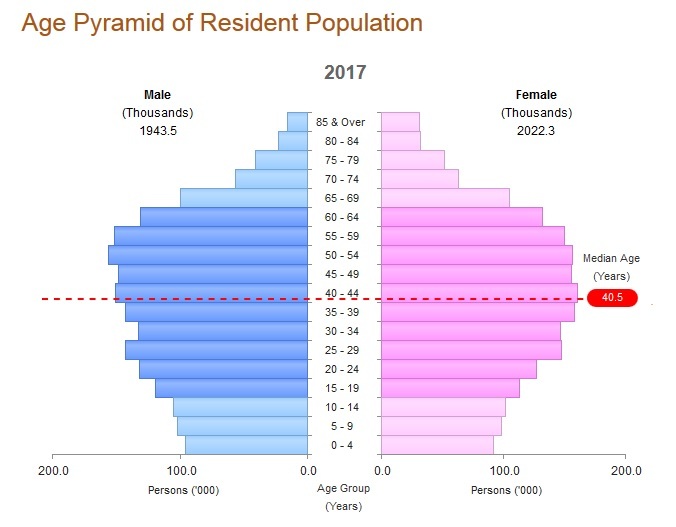 In December 2017, an Economist from United Overseas Bank mentioned that Singapore will be moving towards a demographic time bomb. Based on the statement and public speculation, Singapore Government might need to focus on hiring foreign workers, hence impacting the foreign employment agency in Singapore as well. However, this could be a great fortune new for Malaysians. Because most Malaysians like to apply to work in Singapore due to Singapore’s stronger currencies. Previously, most Singaporeans have a mindset where raising a child is an expensive feat, refrained them from starting a family or giving birth to the coming generations. Over the time, the factor results in an issue where the Singaporean’s elder population is overtaking the younger generation; results in the declining of the labour force and increasing resource consumption. Based on UOB’s prediction, Singapore’s elderly population could hit the percentage of 38% in 2030. The factor of the diminishing young generation and increasing elder ages is labelled as “demographic time bomb”. When the detonation of the time bomb comes, it could results in the shrinking economies and breakdowns in the social fabric. Fortunately, there is some time available before the detonation; hence Singapore may still be able to defuse the bomb before it leads to a great degree of devastation. Singapore Government is starting to tackle the problem by supporting the parents and child-raising responsibilities, encourage families to have more children under their care. Mr Francis Tan, the economist at United Overseas Bank speculates that the government would need to recruit more immigrant or foreign labours. This is to ensure the country to have sufficient labour force for the economic production during the decline stage of the labour market. This will efficiently mark the rise of foreign labours and recruitment agency in Singapore. Given the fact where Malaysian likes to work with Singapore, this is a fortune for them. It is because the entry barrier to work in Singapore will be reduced in this period. Therefore, it is best that Malaysians can grab the chance to apply for job vacancies in Singapore in this period. As for the incident above, Multiway Employment Pte Ltd believes that it could be an opportunity to induce growth to Singapore. However, it is still unknown on how the Singaporean will think about these. Related articles: Singapore is a Good Work Destination for Malaysians?